Resonate Life is a new church in the North Dallas area full of people passionate for Jesus Christ, hungry for God's presence, and a love for one another. As a disciple of Jesus we are called to good works, to let our light shine before all men. Sign up today to be baptized on Sunday, April 28! 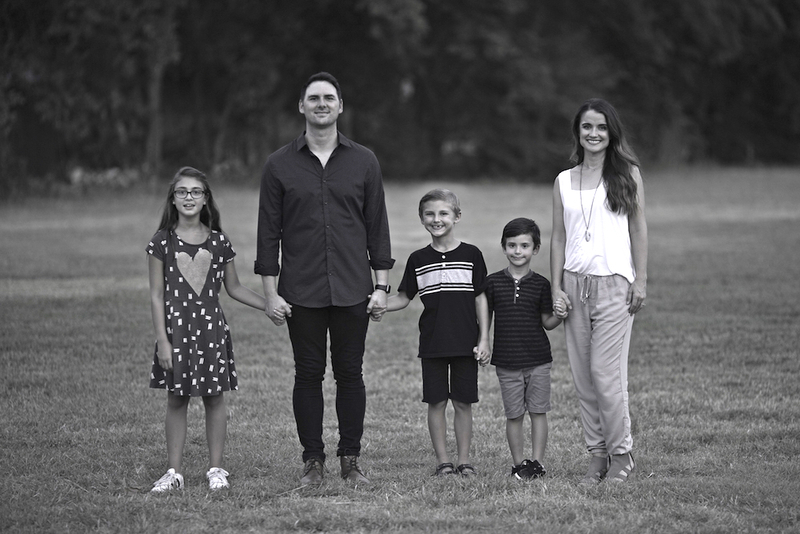 Jeff and Sarah Sparkman, along with their 3 children Grace, Liam, and Nathan are the lead pastors of Resonate Life Church. Jeff was on staff prior to being a lead pastor as a worship leader at two different churches, Trinity Church in Cedar Hill, Tx. and Victory Worship Center in Tucson, AZ. Jeff has been involved in writing and producing music for churches as well as releasing his own music. In August of 2018, Jeff and Sarah stepped in to lead Resonate Life with a vision to see a local church be a light in the community for Jesus Christ.